Bernice is a lifelong resident of Kenosha County. A graduate of UW-Parkside where she studied drawing, painting, sculpture, and printmaking. 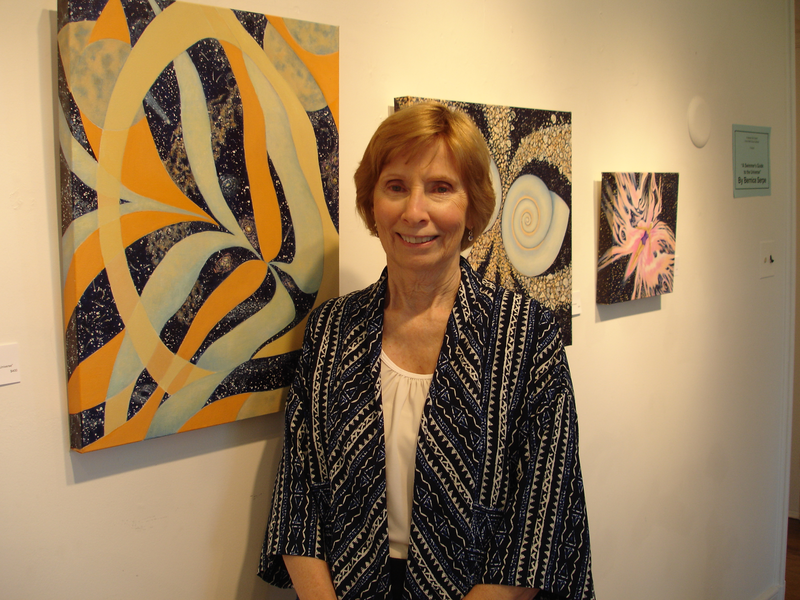 After graduation, Bernice became involved in a gallery on the Kemper Center grounds in Kenosha and later at the Anderson Arts Center there, where her work is shown with other members of the Area Artists Group. Bernice’s early years were filled with hours exploring the shores of Lake Michigan and Paddock Lake at her family’s summer cottage. Swimming, fishing, boating and exploring the landscape filled with berry bushes, wildflowers, lily pads, and cattails where red wing blackbirds found their perch gave her the opportunity to see nature’s bounty and beauty day and night. Her paintings are highly influenced by these experiences. Early in Bernice’s career, she painted water scenes with lily pads and flowers. In addition, cat fish have been included in other paintings. At present, she is painting birch trees and stars at night. They will be shown at the Anderson Arts Center late in summer. The paintings in this exhibit were created from experiences outdoors at sites such as 4 Mile Park and Lighthouse on Racine’s Lake Michigan shore, Door County, Rock Lake in Trevor Wisconsin, her neighbor’s garden and the Kidera’s beautiful property, a short distance from the Red Oak. All the paintings shown here are created using acrylic paint on canvas. After the early years painting in oil and watercolor and exploring varied creative experiences, Bernice settled on acrylics as her favored medium. She likes the vibrant hues available to her and the ability to paint without dangerous mediums. Travel with Betty to the Grand Canyon, Arizona, Utah, Palo Duro, Texas, New Mexico, and Western Canada. She painted landscapes that reflect her enjoyment of our beautiful country and each and every one relives for her the experience of being there. Betty uses her camera to capture those moments that she frames, first in her mind, and then at home when she makes a painting to set those memories in acrylic or gouache on canvas or gesso board. 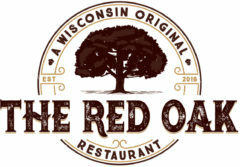 Betty lives here in Kenosha County just up the hill from the Red Oak Restaurant. Her land, with its woods and ponds, inspire her. Betty’s studio is called the Blackwood Gallery. 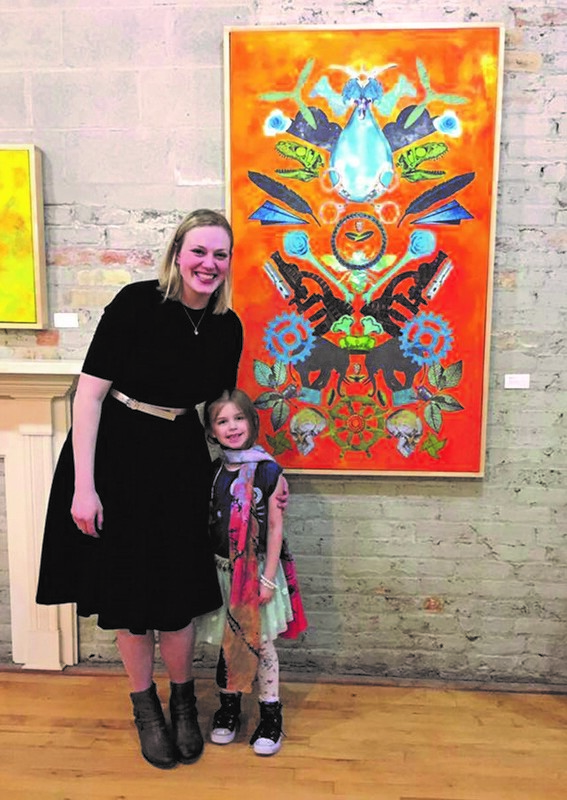 The Anderson Art Center’s Area Artists room in Kenosha has played an important part in her art career as they have showcased her paintings over a period of at least twenty years. Betty has been called an ‘’intuitive painter’’ by her art professors at the University of Wisconsin-Parkside where she taught for eleven years Intro Spanish courses as an ad-hoc instructor. This was in the eighties and now being in the eighties herself, she still enjoys creating landscape art. Amy grew up in Illinois and attended Carthage College. She works for Against the Grain Creative Concepts in Kenosha, is an avid vintage hunter and freelance designer. Amy lives in Kenosha with her boyfriend, Artist Jeff Baenen and their 3 rescue dogs, T-Bone, Fred and Ollie. Amy’s work tells narrative stories and she incorporates many different kinds of media. Within these collages each piece has a specific story or feeling that Amy wanted to visually express. . .however your interpretation of them is totally your own. Visit amylynnross.com for more information.